Red rubber cover that fits over the end of the Anderson SB350 power connector. Protects the open terminal side of the connector from dirt and moisture when it's not in use. 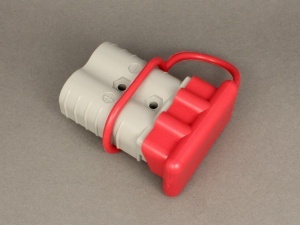 The moulding features a lanyard that grips around the body of the connector to retain the cover. 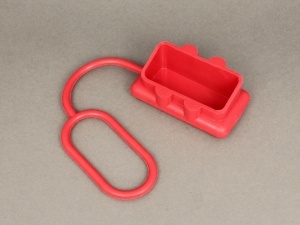 An alternative plastic internal cover is also available.